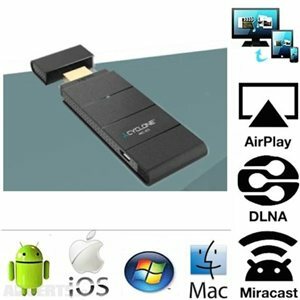 The Sumvision Cyclone Miracast EZcast dongle is the perfect way for sharing media from a smart phone, tablet, PC or laptop to an HD Television. Simply plug the HDMI dongle in your television then power the dongle via the usb port and you can mirror exactly what you see on your device in 1080p high definition on a large screen in realtime! 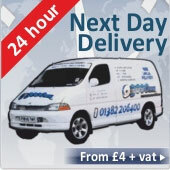 Watch movies, youtube videos, photographs, browse websites and much more using Windows, Apple and Android devices. The possibilities are endless with the Cyclone Miracast Dongle! Control the Miracast dongle using Android / iOS/ Windows and MAC devices. Built in Wi-Fi module you can browse the internet,watch Youtube videos,news or sports..
Control the Miracast dongle using Android or iOS devices. The cyclone Miracast dongle streams up to HD quality from your phone/tablet or youtube videos.. Enjoy connecting to multiple different platforms with iOS/Mac, Android and PC/laptop. Ezcast software gives a clean and easy to use interface making it user friendly and simple to operate.